based on Labour-bashing rather than any serious analysis. Party strategists to get into high gear very shortly. September 20th will see a new government. beggars belief that it hasn't been thought up before. we have been "captive" to foreign banks ever since. Let us not make the same mistake twice. price of alcohol is the correct approach" (24 April). productivity - is being ignored. 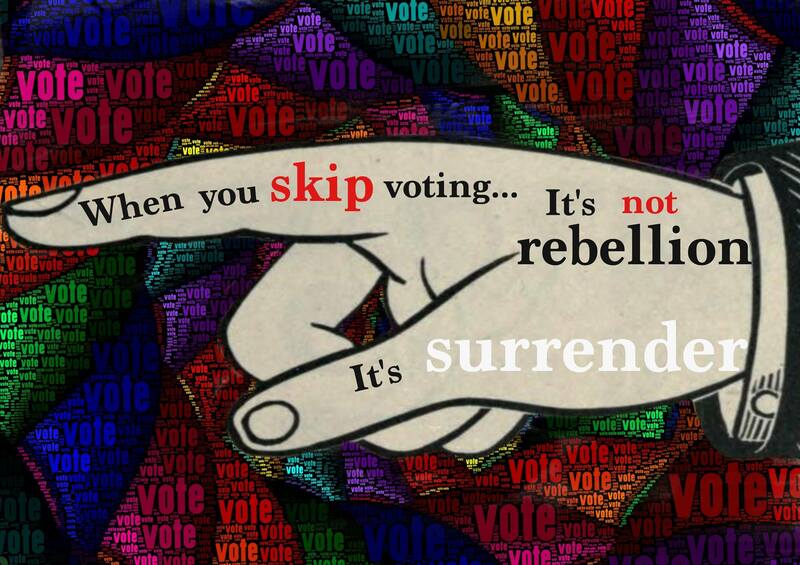 election day on 20 September. Hypocrisy. 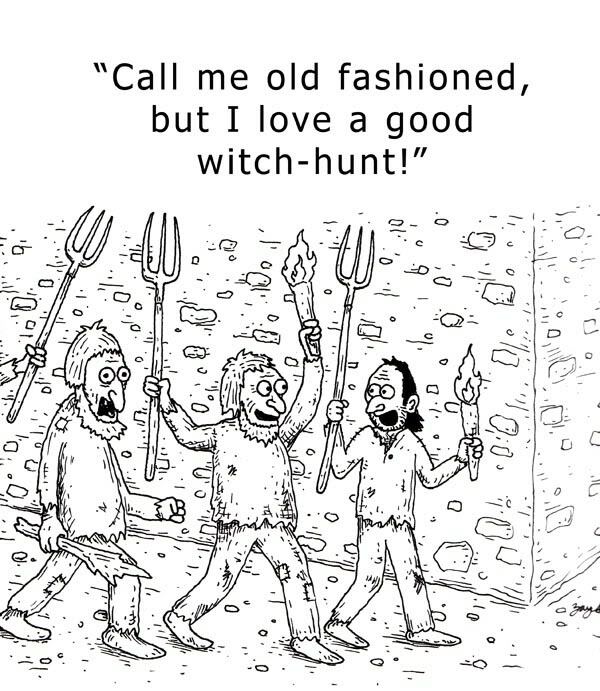 Sophistry. Double standards. Call it what you will – but it is breath-taking nevertheless. 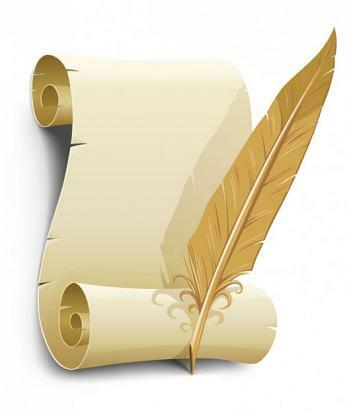 Letter to the Editor: How anti-democratic is an un-elected leadership? example of double standards, by any chance? On 19 March, I reported on the Board members of the so-called “Taxpayers Union”. With one exception, every single member of the Taxpayers Union Board was a current (or recent) card-carrying member or supporter of the National and/or ACT parties. 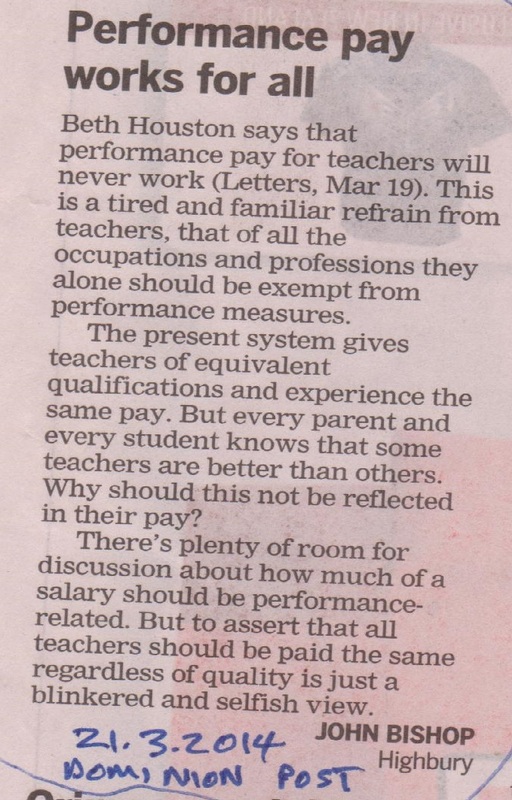 Bishop’s ideological rant on performance pay for teachers is stock-standard ACT policy – a Party he was closely associated with between April 2000 and August 2002, as a Constituency Services Manager for the ACT Parliamentary Office. His role was described as “developing relationships with key target groups and organising events” – whatever that might mean. “ Being involved in political activity makes it tempting to comment on each and every movement in the political dimension. Early on, the Taxpayers’ Union decided that it would focus on instances of waste and extravagance in central and local government spending, and on cases where spending had clearly not achieved its purpose. It’s early days. We only launched in October and we are still reliant to a large degree on volunteer time. Because of that we’re focused on exposing instances of clearly bad, mad and wasted spending – until we have built up our resources to do more. Our record shows that we’re not favouring one party or another. For example, our exposé of the DOC IT cost blowout is precisely why we were established. Bishop says that “the cost of the Collins trip is not large”. According to media reports, Judith Collins’ junket to China cost taxpayers $36,000. Contrast that to Mojo Mathers’ trip to Masterton, to participate in a radio station’s programme for people with disabilities. 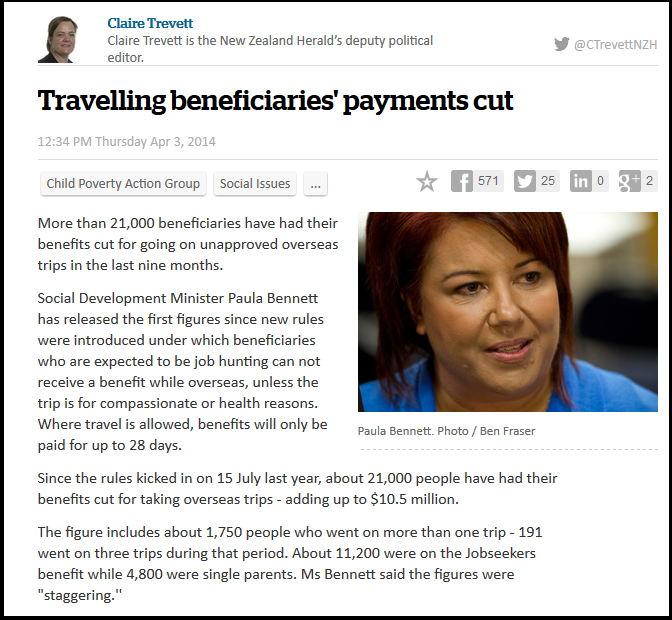 Cost to taxpayers – an estimated $550, according a NZ Herald story. So according to the “Taxpayers Union”, $36,000 “is not large” – but $550 was worthy of the scorn and wrath of the same, self-proclaimed “champions of the taxpayer”? Is this what Bishop meant when he asserted; “waste and poor spending are our targets, not people and or partisanship”? There is little doubt that Bishop and his fellow Board members in the “Taxpayers Union” are little more than a front organisation for the National/ACT parties. For the media to constantly refer to this group for commentary on issues – on the pretext that the “Taxpayers Union” is some kind of credible, non-partisan, neutral source – is ludicrous and deceiving the public. Going further, by not explaining and disclosing the “Taxpayers Union’s” ties to National and ACT, the media reinforces suspicions or perceptions that it has become a captured tool; a mouthpiece for the Key government. It is time that the mainstream media reconsidered it’s policy to seek comment from the “Taxpayers Union” on any and all issues. The “Taxpayers Union” has demonstrated by it’s highly politicised membership and it’s failure at any measure of non-partisanship, that it cannot be trusted to deliver unbiased commentary. This group is simply no longer credible. When journalists fail to report the “Union’s” close links to National and ACT, the media is complicit in this dishonest charade. This blogpost was first published on The Daily Blog on 18 April 2014. 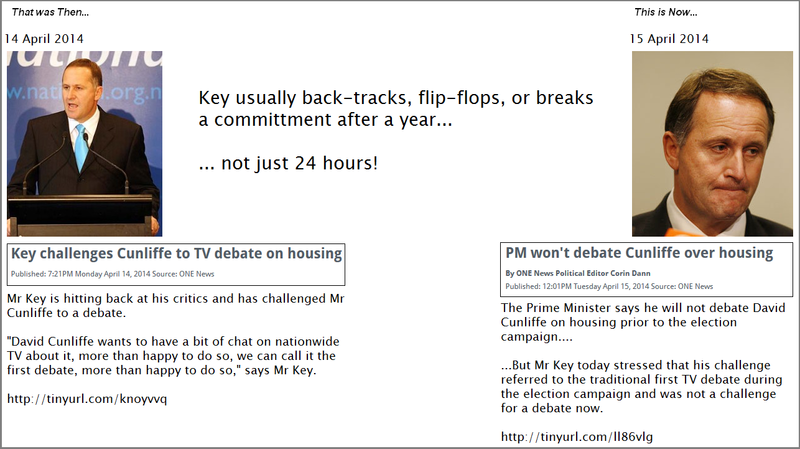 That was Then, This is Now #24 – Key challenges Cunliffe – then doesn’t! When in trouble – blame the “filthy benes”! The polling – which includes phoning respondents on cellphones – shows party/bloc support much more evenly divided than other polls. Any election night result is simply too close to call, and will depend on “wild cards” such as NZ First; how many Maori electorate seats will be won by Mana, at the expense of the Maori Party; and will the Nats cede an electorate seat to the CCCP (Colin Craig’s Conservative Party). Note the dates on the two stories above; 3 April. Coincidence? Not very likely. 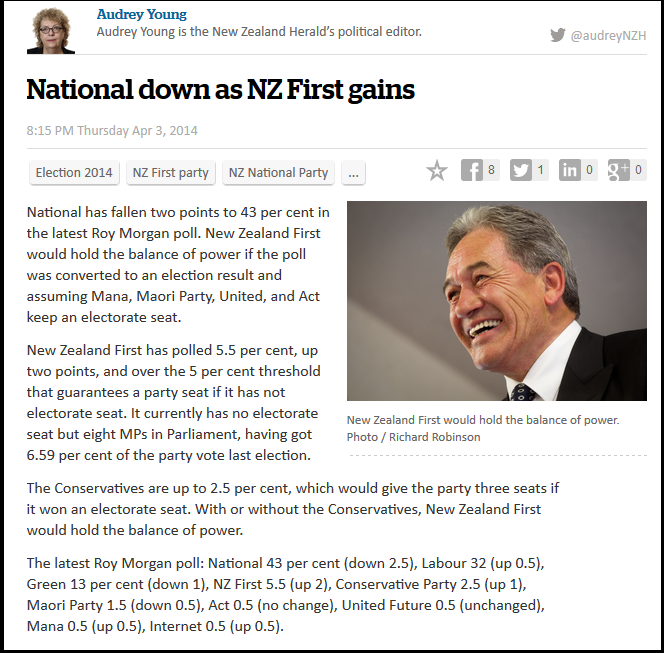 All political parties are aware of when Roy Morgan polling results are made public and this particular result would have come as no surprise to National’s back room strategists and spin doctors. National and Labour both conduct their own internal polling and are acutely aware that public opinion of decided voters is evenly balanced between the Left and Right blocs. 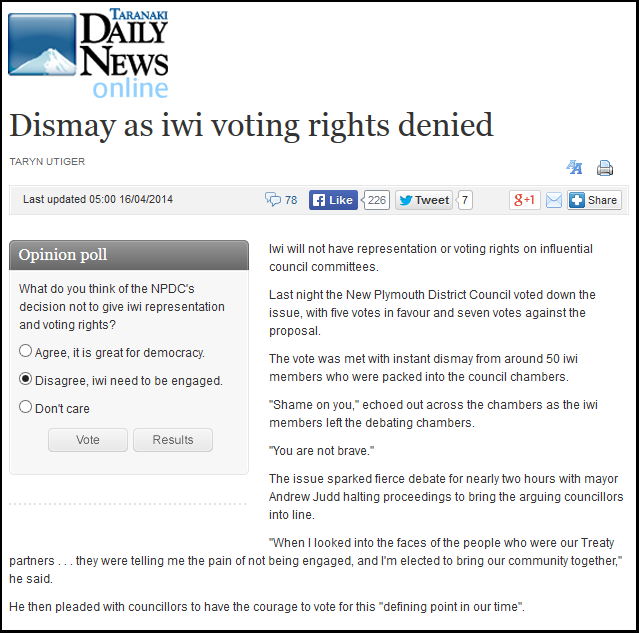 This is precisely the despicable tactic used by ex-National leader, Don Brash, during his infamous Orewa Rotary Club Speech in 2004, when he railed against a “government-funded culture of welfare dependency“, “racial separatism in New Zealand“, and the “development of the now entrenched Treaty grievance industry“. 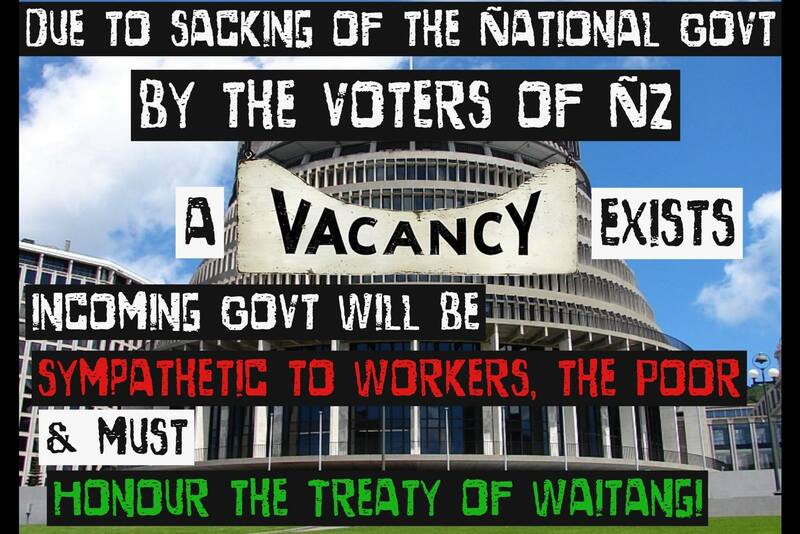 Considering that the Maori Party is one of National’s few remaining coalition partners, and rely on their support for Supply and Confidence, slagging of at Maori and the “entrenched Treaty grievance industry” is a no-go area. Which leave… beneficiaries. 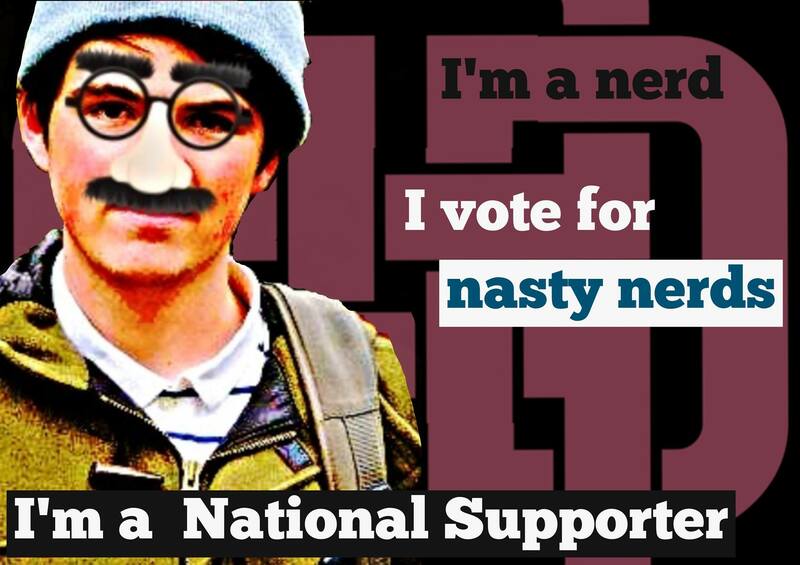 They are the “New Jews” of 21st Century New Zealand – blamed for an alleged “poor work-ethic”; “wasting tax-dollars”; and living the “high life” whilst the rest of us have to work for a crust. It is noteworthy that, in the main, the mainstream media published Bennett’s media release without question. There was no in-depth analysis by journos wanting to know who these “21,000 beneficiaries” were, or their circumstances. No questions were asked. No delving behind the reported statistics was carried out. In fact, not one single journalist, newspaper, TV current affairs programme, etc, actually even bothered to report what the unemployment benefit was ($210 per week, net). Instead, the Herald – which seemed to be the main media outlet for this “story” – published an editorial five days later, supporting and endorsing the official Party Line. Never since the days of the Soviet state-organs, Pravda, Izveztia, etc, have news media been so utterly and completely compliant as mouth-pieces for government policies, statements, and naked propaganda. If this is what the msm such as the NZ Herald call “freedom of the press“, then I suggest to them that their much-vaunted independence is a fiction. 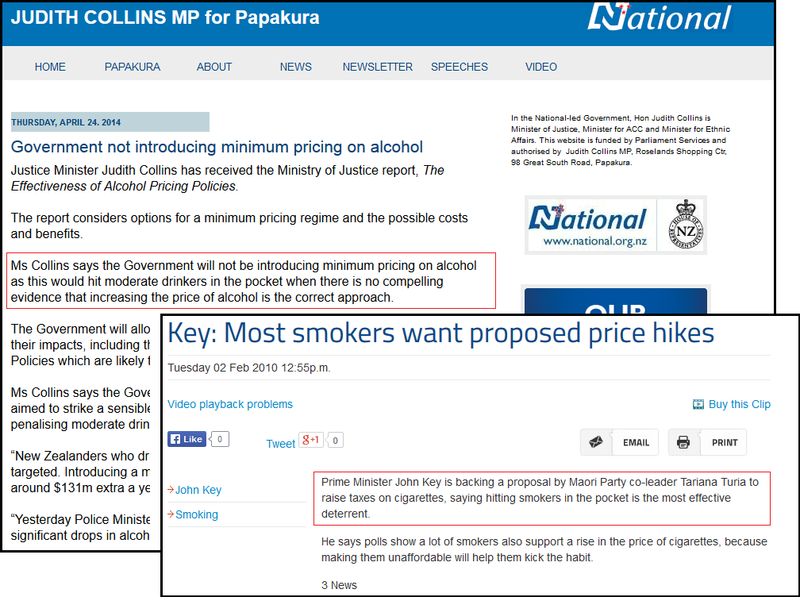 When government ministers’ media releases are reported almost verbatim, then any pretence of media independence , press freedom, and investigative journalism flies out the window. Unfortunately, except for Julie Moffett on NewstalkZB, who made some effort to present an alternative to the official “Party line”, that line of questioning was not followed through. If someone on an unemployment benefit (now referred to as “Jobseeker”) has left New Zealand for longer than eight weeks, that implies they have left this country for reasons other than a so-called “holiday” or family bereavement. As Sue Moroney suggested, they have left this country for good. So why not phone WINZ’s 0800 number to inform them that they are travelling overseas? Anyone who has recently had cause to phone WINZ (0800 559 009) will have their question provided. Waiting to speak to an operator on that line can take anywhere from ten to twenty minutes. Sometimes longer. And there is no guarantee that the information provided by a welfare recipient will be accurately recorded or passed on to the relevant WINZ Branch, or acted on. This blogger is aware of at least one beneficiary who followed proper procedures to advise WINZ of a change in his/her circumstances – only to have that information disregarded and their benefit cut. 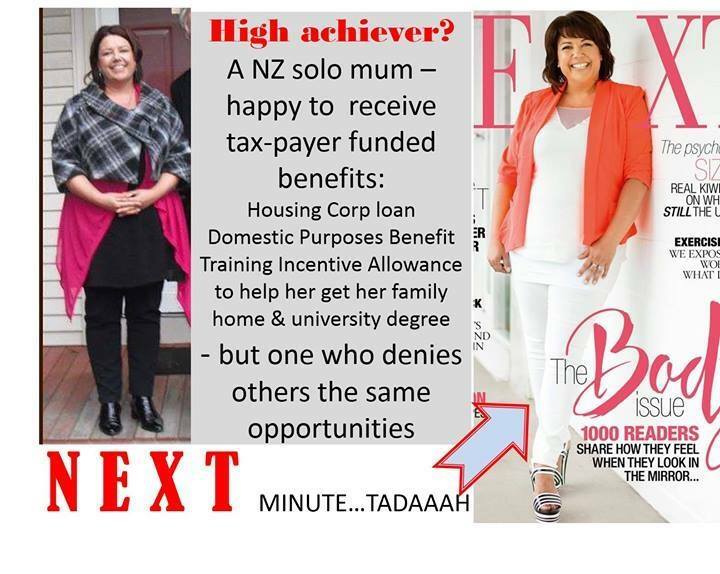 Only when WINZ was contacted on subsequent occassions and questions asked why that information (earning an income through a casual job) was not accepted, was the recipient’s benefit eventually reinstated. S/he had done everything right; carried out their obligations; made full disclosures – and was still penalised. How often is this happening to others? And if a beneficiary is leaving New Zealand (often paid by loans, friends, or family) to seek work in Australia – why should someone utterly frustrated with the system bother to contact WINZ, which is time-consuming, stressful, and when that information is not always passed on? 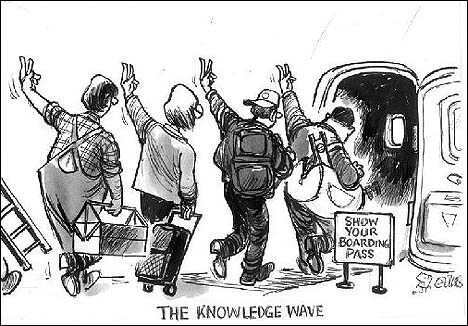 I submit to the reader that most would simply give the one or two fingered salute to this country as they departed. In turn, the media has ready-made, simplistic, tabloid-style headlines provided to it on a plate, to sell their advertising. Whilst the majority (hopefully) of New Zealanders understand that this is red-neck, dog-whistle politicking in action, National need only appeal to one or two percentage points of voters who unquestioningly digest this kind of prejudice – and John Key is assured of a third term in office. 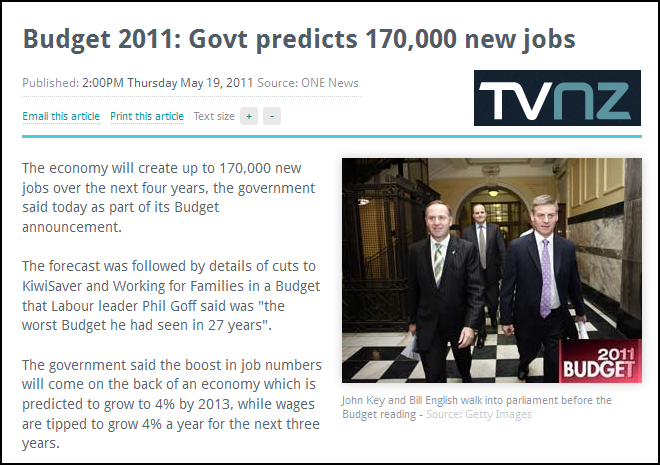 Unemployment is working – for National’s re-election. Just two years later, she got a Housing Corporation loan to buy a $56,000 house in Taupo. All of this while on the domestic purposes benefit. 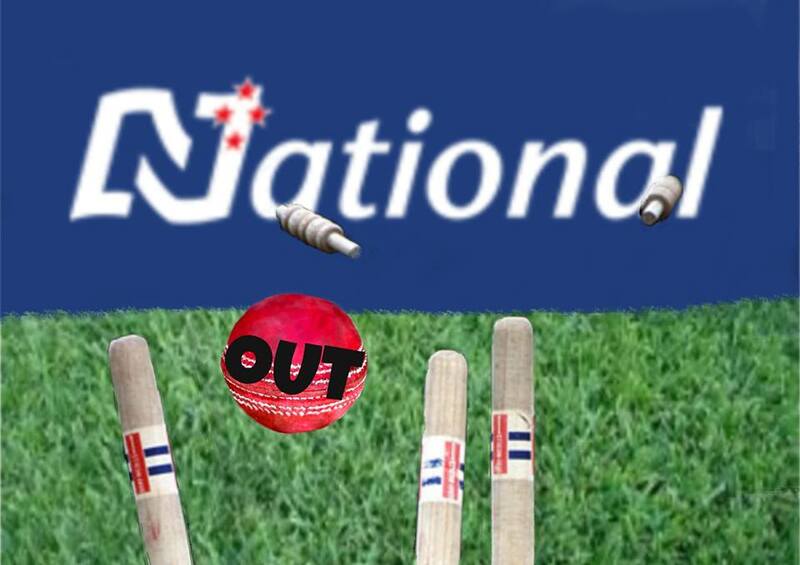 Letter to the Editor: Is National in trouble in the polls? Against The Current: Mike Hosking says Bash A Beneficiary Day! This blogpost was first published on The Daily Blog on 14 April 2014.